The introduction of BEMER, electromagnetic pulsed therapy, has given us the most advanced health promotional therapy available today. Traditional exercise, both strength and cardio conditioning, will enhance blood flow through the macro circulation. This includes the heart itself as well as the larger arteries and veins. The macro circulation system makes up only 25% of the entire system. The other 75% of the circulation system is referred to as microcirculation, the so called, capillaries. Traditional exercise does not benefit these tiny microscopic blood vessels. Only BEMER therapy has been proven to enhance blood flow through the capillaries by 29%. That nearly 30% enhancement continues for 12 hours after each 8 minute Bemer therapy session. 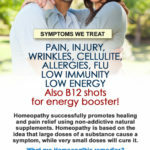 This breakthrough in science and technology is hugely beneficial to the body. 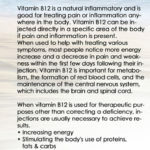 It strengthens the entire body, thereby allowing the body to do what it was designed to do - Heal Itself! Below is a picture of our mascot CISCO kid. CISCO Kid is a representation of the entire circulation system. CISCO's white body represents how significant this microcirculation system is. 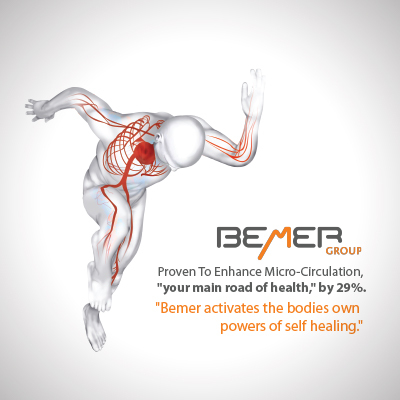 BEMER strengthens the body's blood flow in 75% of the body that is virtually unaffected by traditional exercise. There is nothing that will replace progressive resistance exercise to help you get fit. But traditional exercise such as weight training, functional training, and cardio training of any kind, only enhances blood flow through the large arteries and veins. This is referred to as the macro circulation system. For the first time ever, personal trainers are able to exercise the microcirculation. These are the capillaries which make up 75% of the entire circulation system.